With the release of my next book just around the corner, I thought it would be fun to give you a little sneak peek at book 1 of the Pleasant Gap Romance series! Single mom, Eisley Barrett, prefers to keep romance safely between the pages of a book, on the silver screen, or locked within a 400-year-old mystery. 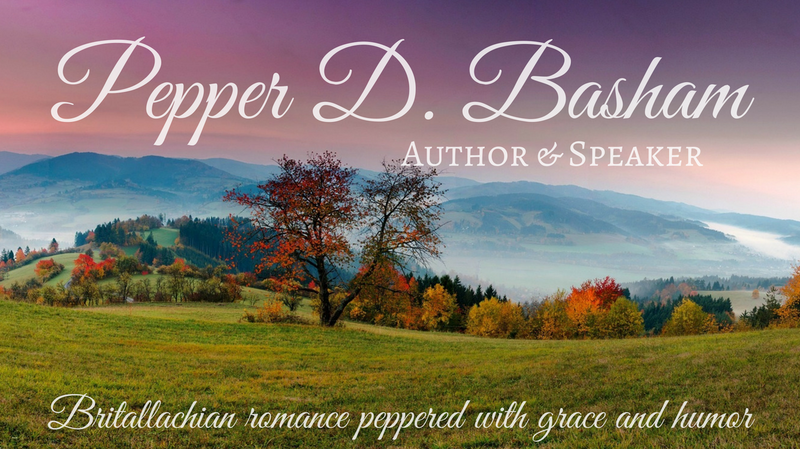 But when she leaves her safe Blue Ridge Mountain home to research a family secret in England, an actor with a sordid past tempts her to step outside her fictional world and trust her heart to this reformed British baddy. Wes Harrison has a past he’s ashamed to confess. Suspicious and cynical, the last thing he needs is an American guest staying with his parents in their quiet cottage, but Eisley Barrett isn’t like anyone he’s ever met. Her authenticity and country charm set his embittered presumptions on their heads and offer him a second chance at love. When his past threatens the present, will the truth drive her away? Can this unexpected romance have a happily ever after? With some match-making parents, a quirky Appalachian heritage, and love letters from the grave – anything is possible. From the beautiful Peak District in England to the rolling Blue Ridge Mountains of Virginia, the Jenkins family discovers that God dreams big for his kids – and second chances are His specialty. His question clinked into place. She leaned back and really looked at him. She should have known him from his picture, but the whole squishing scene had been way too distracting for little things like recognition. He had one of those distinguished-grandfather appearances: dressed in a suit, salt-and-pepper hair neatly trimmed, with a sliver of moustache to add a sense of renown. Just like she’d expected, except the hair was a bit erratic after his near-concussion. “Yes, Daniel Harrison. It’s a pleasure to meet you, Eisley.” Her name rolled off his tongue as if James Bond said it himself. Something inside of her melted. She really shouldn’t smile. After all, she’d nearly suffocated, possibly flattened, a senior citizen, but he was so downright charming it was difficult to maintain a guilty expression. “Never more than a night or two, so this is definitely an adjustment.” She placed her hand against her quivering stomach. Every inch of those four thousand miles pressed in on her heart like eating way too much of Aunt Tilley’s Mastermind Meatloaf. She tossed a glance to the outgoing flights display. A fleeting thought to return home inched to mind. No. She’d made a promise. Uncle Joe. She swallowed down the worry bubble in her throat and guided Mr. Harrison to a chair. Mr. Harrison’s sudden laugh pricked at Eisley’s smile and curbed the mommy-ache. She settled Mr. Harrison in a chair and detoured her high-octane emotions by gathering her various paraphernalia scattered across the floor. Her kids would be okay. They would still remember her name, and surely her Dad wouldn’t have them chewing tobacco by the time she got home. “Right.” Lizzie’s emails hinted about her father’s dementia and psychosis, but everything else seemed as much a secret as Eisley’s mysterious ancestor. Oh, this story kept getting better and better, nibbling at Eisley’s lifelong obsession with great romance. Fictional, of course. The less painful kind. “Sounds like I’m going to really like her.” Eisley shrugged. “As if there was any doubt about that. Do you feel ready to walk after I mauled you? I guess we’re taking the Tube or maybe we can catch a taxi? Eisley followed Mr. Harrison’s gaze across the expanse of the meeting area, past the red bucket chairs and rows of people, and right into the eyes of a Greek god. Her vision zoomed in like a camera, blocking out everything else – sounds, noises, her phobia of Prince Charming look-alikes. A taller, younger version of Mr. Harrison walked toward them, as if directly from a Google search for swoon-worthy. His gray-blue gaze blazed through her, igniting fireworks in her chest and heat in her cheeks. Unfamiliar sparks burned through years of avoidance and splintered directly into her pulse. The emotion flashed into recognition with a harsh light. She held in a whimper. Attraction? Lord, really? Are you joking? She tried to adjust her expression. The last thing she needed was to look like a three-year-old in a candy store. Too much eye candy is bad for a wounded heart. Very bad. It might lead to thoughts of hope—or worse, possibilities. She stumbled to a stand and bent to help Mr. Harrison from his chair. Wes’ gaze trailed over her, leaving a splash of warmth on her face and a knot in the pit of her stomach. Calm. Distant. Glacial. The perfect coolant for her overactive imagination. His hot-fudge smooth voice swept all words right out of her head and melted any images of icecaps. The perfect combination – fascinating eyes, a British accent, and chocolate. Yep, he was Ghirardelli in human form. She gave her wayward thoughts a mental slap. Pull yourself together, woman. No man is worth a Marshall-sequel. A fake smile showed off his perfectly straight teeth. His taciturn expression proved he remained completely unimpressed with what he saw. Ah, the story of her life. Add a mile-high stack of comparisons to her twin brother and it was an instant flashback to high school. She pulled her pink rolling bag to her side and shrugged off the sting of the disappointment she refused to embrace. Sarcasm? Daggone it, that just made him more attractive. Oh, what a pickle. Why here and now? The hopeless romantic she’d crammed underneath her busy-working-mother mask and three years of hardened resentment scrambled to the surface in full agonizing volume, hands opened wide to the daydream. The timing was horrible. There was nowhere to hide. No family excuses. Thankfully, Mr. Frosty-and-Fabulous curbed her lack of self-control with a solid dose of reality. He looked annoyed, maybe a bit bored, and definitely not carrying on an internal monologue to rival Bridget Jones. Wes remained stiff as a hardbound bookbinding, but – Hark! Was that a faint light of interest flickering behind his dull expression? “The Blue Ridge Mountains? North Carolina?” His intense stare flipped to Mr. H.
What about either of those topics could possibly interest a handsome and aloof British guy? She liked him better as rude and unavailable. Married would be even better. She took a quick glance at his left hand. Bare as the Jenkinses’ table after a meal. Hope plummeted to the heels of her unsteady shoes and self-control teetered in a frightening direction. No, no, no – she couldn’t afford daydreams with real possibilities. Attraction held empty promises. All hormones – no heart. She’d learned the hard way how different those two were. She would not screw up her life again. And now a teaser for When You Look at Me…. In anticipation of my upcoming release, Just the Way You Are, I’m going to take you on my characters’ journeys through different settings in the book. Our first stop is London…. My heroine, Eisley Barrett, arrives in Heathrow International Airport and is swept off her homicidal heels by the suspicious, reformed rogue, Wes Harrison. Her quaint Appalachian world has her daydreaming about England and her wounded heart keeps her from seeing God’s possibilities for her life. Before traveling to the beautiful midlands of Derbyshire, Eisley is taken on a whirlwind tour of London by Wes’ parents, Daniel and Eleanor Harrison. So…what does she see?